Analog gateways, PRIs, Auto-Attendants, IVR. These topics aren’t typically the focus of the discussion for the audiovisual industry, but they were at the recent Enterprise Connect conference and trade show. Historically, Enterprise Connect (previously Voice Con) was a telecommunications, data, and eventually videoconferencing show primarily for the IT channel, but that has shifted. As an exhibitor this year, as well as an attendee, I was shocked by the emerging prospects for audiovisual solutions providers at this traditionally data- and voice-centric show. Erik Krapf, Enterprise Connect general manager, further confirmed my perceptions, noting the show’s steady growth over the past three years, both in attendance and exhibition. “It has also broadened its focus to include many more AV exhibitors, software providers, and cloud services providers,” he told me. The focus of the show this year was true unification: voice, video, and collaboration. Zig Serafin, corporate VP of Skype business services at Microsoft made this abundantly clear in his keynote address, saying, “You can’t stitch yourself into unified communications.” If ever there has been a clearer call for a holistically integrated solution instead of a voice system, video-teleconferencing system, presentation system, and a collaboration platform, I haven’t heard it. Serafin’s comments sound the alarm for providers to start selling solutions and experiences, not systems and components; this is especially important for those in the audiovisual industry, with its traditionally component/system basis. The conversation surrounding this show re-centered itself on desktop-based videoconferencing and telephony. The days of hardware-only conferencing seems limited with Cisco’s announcement of the Spark platform’s evolution, alongside a $150 million developer fund for it. Microsoft also debuted features designed to bring Skype4Business to near-enterprise levels as a cloud service. Other familiar computer-based UCC applications, Acano (recently acquired by Cisco), BlueJeans, Zoom, and Pexip exhibited, showcasing affordable and flexible alternatives to legacy hardware-only solutions. More AV-familiar companies like Oblong and Prysm were showcasing their incredible collaboration surface solutions. Vaddio, Logitech, and Biamp were each on display as well, showing the inroads the audiovisual community (and channel) have been making into the previously IT-dominated world of enterprise collaboration and communication. The show confirmed that the incumbent IT channel needs to look seriously at the technology available through the AV channel as enterprise clients seek to truly unify their systems, solutions, and workflows. If further proof of the emergence of the AV channel is necessary, one would look no further than the Surface Hub, showcased by three non-Microsoft booths, two of which were integrators AVI-SPL and Whitlock; however, the AV industry needs to closely consider what the IT industry really excels in—supporting existing solutions with managed services contracts. From small-booth companies that provide ongoing support and maintenance for enterprise voice (or some subset thereof) to full-scale voice, video, data, and interconnection managed services providers, the audiovisual industry traditionally lacks the reach and the scope of these services. If AV is to truly converge with IT (and voice, video, and telecom), then one would logically assume the support model must increase exponentially. For most in the AV world, managed services contracts are still sold as an after-thought. Realistically, if AV wants to provide the same white-glove service for their clients that IT does, they must turn their focus towards a managed-services centric business model, focused on solutions and experiences and not just maintaining components (switchers, cameras, microphones, amps, and speakers). For this to really take shape, it must start with manufacturers. Individual product management is nice and useful, but holistic management suites for all products must soon be the de facto norm. 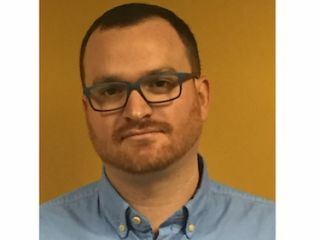 Mike Brandes is an applications engineer for a leading audiovisual manufacturer and formerly a technology manager in higher education, responsible for instructional technology and videoconferencing. Follow him on Twitter @MikeBrandesAV or his personal blog mikebrandesav.com.